The cabbie shouldn't be too old, I think. Keep in mind he and Helen had many children after arriving to Narnia and I'm guessing none before, since Aslan didn't summon them. I like the idea of Taron Egerton, but you're right, Rose-Tree, that he might be a bit too young-looking. By the sound of Lewis's description, I would say he had been a cabbie for many, many years. Perhaps somebody like Ewan McGregor? The Rose-Tree Dryad wrote: Taron Egerton is a possibility; I can picture his face belonging to a cabbie or a king. Apparently he sings, so that's also in his favor. He's younger than I imagined the cabbie, though; only 28. I always pictured King Frank as having a few lines on his face. Monty Jose wrote: The cabbie shouldn't be too old, I think. Keep in mind he and Helen had many children after arriving to Narnia and I'm guessing none before, since Aslan didn't summon them. This is why it's going to be a hard casting choice! I picture him older, but he couldn't have been very old at all. He would be aged from being out in all weather and squinting in the sun etc. I haven't seen many young actors with rugged features that aren't too pretty. I guess makeup and what not can fix that, but they may just have to cast an older actor and imply he's younger. Casting a young Helen would help with that. Taron Egerton actually looks really good though. 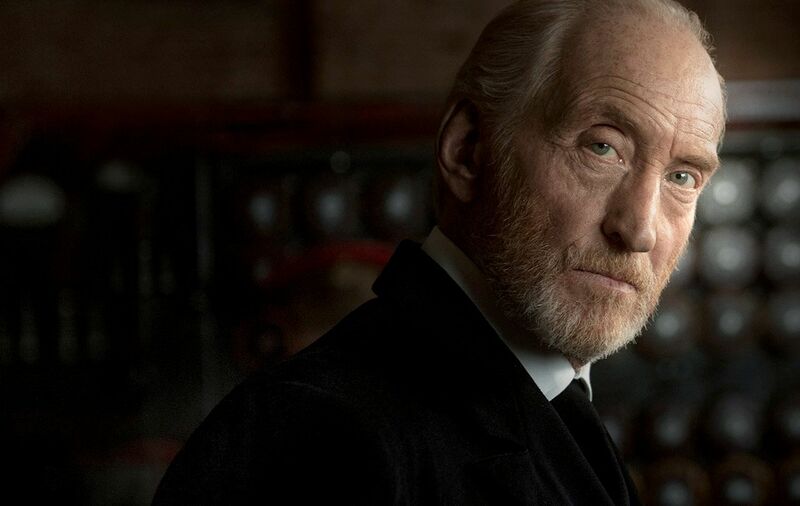 I would personally think Charles Dance would be perfect for the Professor, he could perfectly portray the character, especially in the introduction. From what I can remember, the Professor's initial introduction is one of mystery. Dance can easily work both his fatherly side and his menacing side, just watch any episode of Game of Thrones that he was in. I really like the look of Charles Dance for the Professor, PrinceRilianIX! I feel like he has a sort of intellectually challenging air that would give the Professor's argument about believing Lucy over Edmund a bit more punch. In contrast, Jim Broadbent seems more gently eccentric, and I feel like it would be quite startling for someone who looks like Charles Dance to start arguing in favor of the existence of a world discovered beyond a wardrobe door. Wow, I didn’t think I’d like some along the same vein as Charles Dance, but I think that would be a good fit! To only to embody who the professor should be for the reasons you two give, PrinceRillianIX and Rose-Tree, but also for him to significantly stand apart from the Walden version. Charles Dance intrigues me...I’d definitely be interested to see what he does as the Professor. Speaking of Diggory, I’d like to see Noah Jupe play him in MN. I'm interested to hear what people would do with the casting of Prince Caspian, King Miraz and the Telmarines. 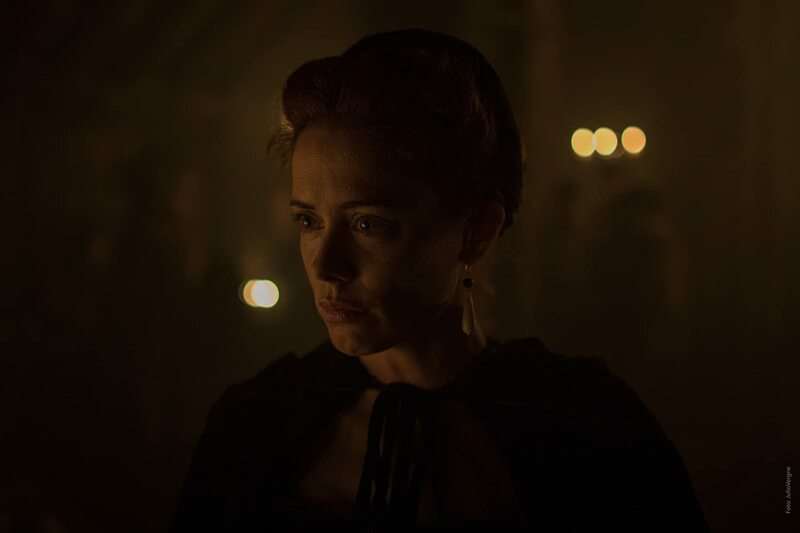 Would you go for the light colouring from what is told in the books. Queen Prunaprismia has red hair, and Caspian is described as 'golden-headed'. Or would you go for what the the producers of the Disney/Walden versions and choose to give the Telmarines a Spanish/Italian ancestry? That's actually something that came up in the Accents in the New Series thread in GMD, PrinceRilianIX. Although technically we were wandering a bit off-topic with that discussion. I've been thinking I should start a thread about ethnicity in Narnia, but you might want to take a look at that in the meantime — or feel free to start that thread yourself! I do know that I'd like for the Telmarines to have a different look from the Walden version, but I'm open to various interpretations. 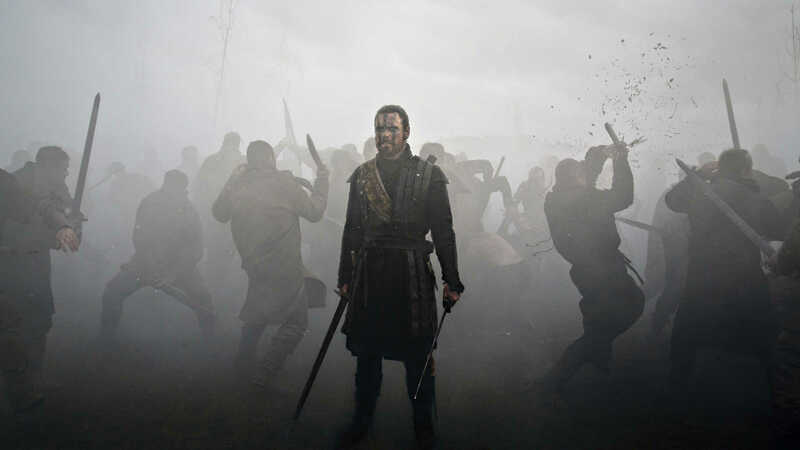 I'm actually quite torn on the subject, while I feel that the Walden interpretation worked and added a level of ethnicity to the world of Narnia, I cannot get the idea out of my head of the opening scene in the 2015 adaptation of Macbeth, with Michael Fassbender. I like the look of Fassbender as Miraz, PrinceRilianIX, although his apparel in that last photo looks a little too Narnian for me to imagine him as a Telmarine there. I'm hoping that the Telmarines to have more of a pirate-influenced design, either inspired by the Vikings or the Golden Age of Piracy. 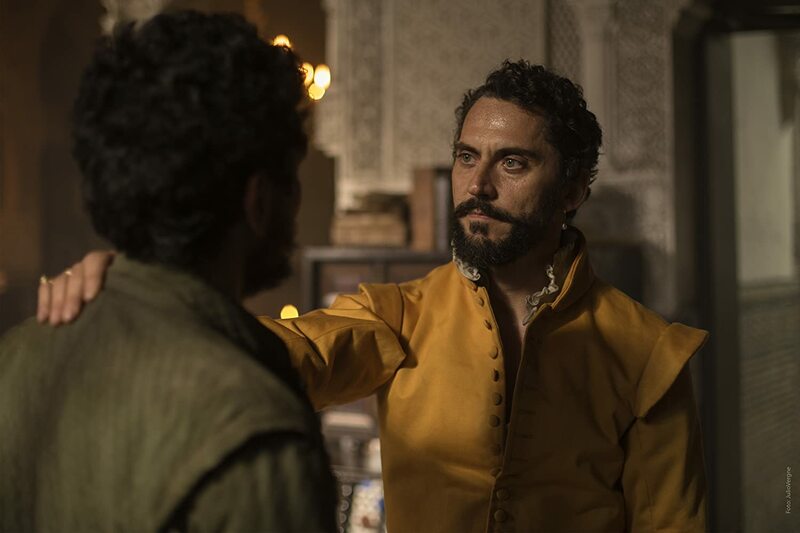 But as far as who should actually play Miraz — I think Fassbender could be a good choice. I can easily envision him as the cold and intimidating Telmarine king, and he definitely gives off that aura in the last picture. PrinceRillianIX, I just want you to know that even though I can't post that often, I'm stalking your cast suggestion posts because they're almost all fantastic. But even though Michael Fassbender is a big name, I don't think I've ever seen him in a children's movie before so I don't think we'd have a lot of crossover with audiences. I really like the idea. Also, I've always pictured the Telmaries as descendants from the Vikings and therefore have that Nordic look. Buuuuut, I picture the Archenlanders with the same look and I definitely want two distinct races, so perhaps Rose-Tree's suggestion of a more pirate-y look would be appropriate. fantasia_kitty wrote: PrinceRillianIX, I just want you to know that even though I can't post that often, I'm stalking your cast suggestion posts because they're almost all fantastic. I'd be interested to hear people's suggestions of actors the roles of the Telmarines. From what I'm hearing it seems best to go for the Spanish or Italian angle which seems to suit best. As all the research I've done seem to points that way. Although I'm still confused by the book's contents which describes the Telmarines as caucasian, but they originate from the same part of the world that the Calormen come from who I imagine to have Persian or Asian descent. Quite the challenge to adapt realistically. Well every nation that had any kind of sea trade had pirates trying to steal goods, so it's very open and broad. It's open to any kind of race across Europe and Asia. Perhaps even Africa, though I doubt the film directors would want to go there. I do wonder, whether or not Lewis meant it, that he was slightly tainted by the Aryan Race from Hitler and WWII. Or perhaps that's just a broad cultural preference as many pictures of Mary and Baby Jesus are often blonde and blue-eyed. Anyways, Lewis describes many of his favorite characters as blonde, and I don't mind one bit if they diverge from that look. I actually have some new casting suggestions that fit more with the Warden/Disney angle of having the Telmarines with a more Spanish and Italian ancestry like was hinted at in the original novel. I recently fell upon a Spanish television series, while doing some research for casting ideas. It's called La peste (The Plague) and is currently on people's televisions at the moment. Here are my suggestions, along with some images for you. I was quite taken with Nathaneal Saleh and Joel Dawson in Mary Poppins Returns. I was impressed with their skills. Unfortunately I can't find any information on their ages so I don't know exactly whom to recommend them for. I think Nathaneal would be good for Peter, Edmund, or Eustace if the age worked out. 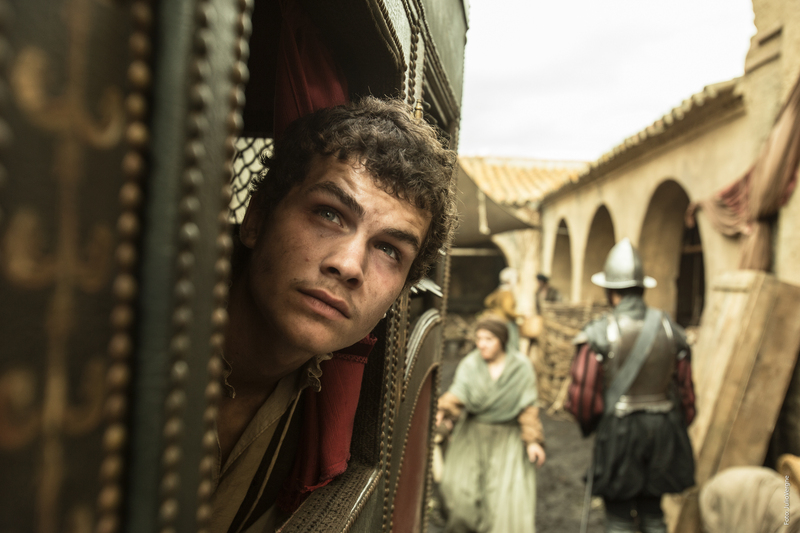 It is so tricky with boy actors as one has to worry about voice changes and such. I think Joel could do a great Caspian or Shasta. Edit: I like the picture of the suggestion for Miraz but not Caspian. I want a Caspian with a more innocent and wistful, dreaming look.